Originally from New York, Ms. Freyre has been a teacher of English, English Language Development, and Spanish since 2001, including two two years of teaching abroad. After earning a B.A. in English literature from the University of Virginia, Ms. Freyre moved to Florida to teach middle school language arts at Tampa Preparatory School and spent a year teaching English to both high school students and adults in Chile. She earned her M.A. in Education from the University of California at Berkeley where she was selected as a Fulbright recipient in 2006-2007. It was through the M.A. program in Education where Ms. Wong and Ms. Freyre instantly connected. Their passion for higher education connected them on many levels. Ms. Freyre also spent the year teaching in Bogota, Colombia while finishing her Masters of Arts degree. In the summer of 2015, Ms. Freyre spent the summer teaching an argumentative writing course for Chinese students at Nansha College Prep academy in Nansha, China. Ms. Freyre was drawn to the cultural experience and enjoyed seeing the learning and growth of her students overseas. 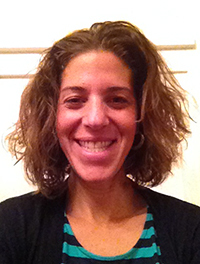 Currently, she fulfills multiple roles as an English teacher at San Mateo High School, an instructional coach for San Mateo High School, and a Language and Literacy Coach for the San Mateo Union High School District. Ms. Freyre though consumed with her love for Education is not only passionate about teaching, but traveling, bilingualism, and learning both in the classroom and through life experiences. When she is not working, you can find her spending time with her family, running, swimming, hiking, or reading.